In vitro colony assays are considered promising techniques for the detection of clonogenic leukemia cells. It is thought that leukemia cells, giving rise to colony growth in vitro (L-CFU), contribute to the perpetual growth of the tumor in vivo. 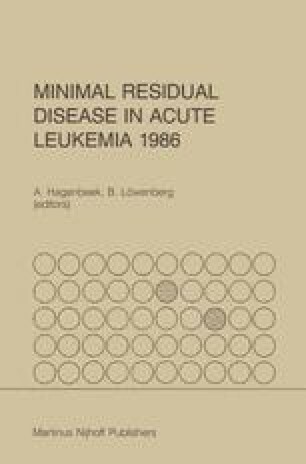 Therefore, L-CFU are regarded as relevant in vitro end points for evaluating the remission status of leukemias, and for assessing the efficacy of purging procedures applied to autologous marrow transplants.